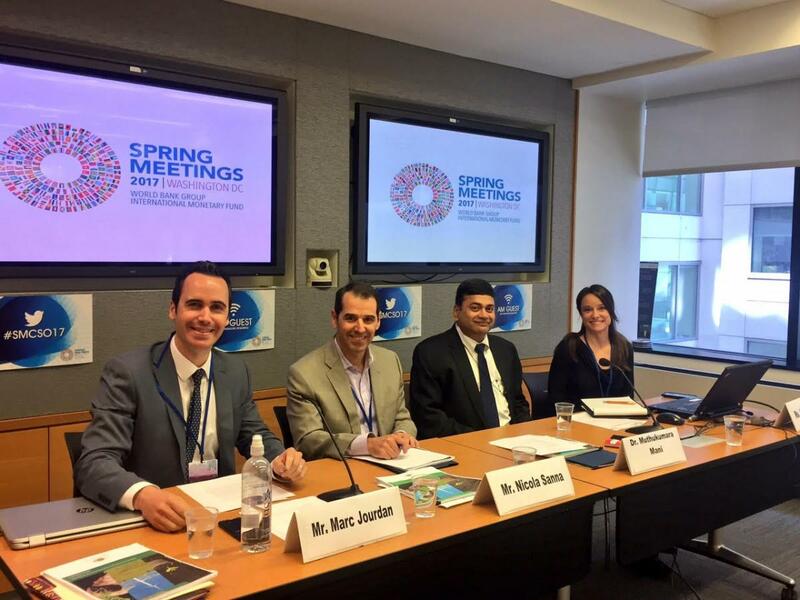 Location: Room 12-250, World Bank I -Building, Washington, D.C.
On Wednesday 13 April 2016 from 2:00 – 3:30 pm, the NGO Committees on FfD and Social Development hosted a ‘Panel Discussion at the World Bank during the Civil Society Policy Forum’ in Washington DC. On 4 February 2016, at the Commission on Social Development, with the NGO Committee on Social Development and the Global Foundation for Democracy and Development, our committee co-sponsored an event entitled Financing Tools for Reducing Social Inequalities. On May 22, 2015 our committee co-sponsored an event with the NGO Committee on Social Development and the Global Foundation (GFDD) entitled “Do we have the courage to Put People and Planet First? The challenges of financing for development”. With Barbara Adams, Senior Policy Advisor at the Global Policy Forum Thursday, October 2, 2014, from 1:00 – 3:00 pm at Baha’i International.